Sisters in Crime authors, Sulari Gentill and Sarah Bailey, took out two of the top awards at Ned Kelly Awards presented in Melbourne tonight (26 August) by the Australian Crime Writers Association. 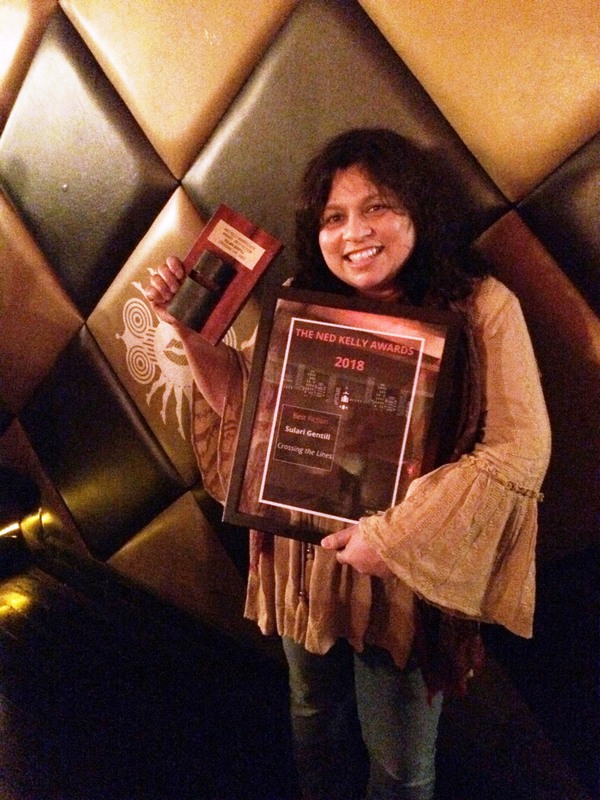 Sulari Gentill won the Ned Kelly Award for Best Crime novel, Crossing the Lines (Pantera Press), which she describes as her love letter to crime writing. Best known for her Rowly Sinclair award-winning series set in the 1930s, her stand-alone murder mystery, explores what happens when the imagined becomes better than reality. Madeleine d’Leon is fixated on the story of Edward ‘Ned’ McGinnity, the hero in this crime novel. But Ned, too, is a writer and the character he can’t get out of his head is none other than Madeleine herself. A Decline in Prophets, the second Rowland Sinclair Mystery, won Sisters in Crime’s Davitt (Best Adult novel) in 2012. Her ninth book in the series is due out early next year. 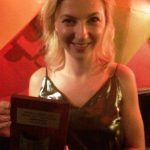 Sarah Bailey took out the Ned Kelly Award for Best First Novel, The Dark Lake (Allen & Unwin), a police procedural set in country Victoria. She won the Davitt (Best Debut Book) for the same novel two weeks ago. Carmel Shute, Sisters in Crime’s secretary, said that it was thrilling to witness women crime writers receiving recognition by the Ned Kelly Awards. “Sisters in Crime launched the Davitt Awards at SheKilda Women’s Crime Convention, its 10th anniversary celebrations held at St Kilda Town Hall in 2001, to give Australian women crime writers the recognition they too often missed out in in the Ned Kelly Awards. “It took another decade for women to get a fair go in the crime-writing stakes,” Shute said. Shute paid tribute to tonight’s Neddies’ True Crime winner, Graham Archer, for Unmaking a Murder (Penguin Random House) and to Garry Disher who was awarded the Ned Kelly Life Time Achievement Award. “Garry Disher has been a great friend to Sisters in Crime. Back in the nineties, when we were all starting out, he had a female character in bed in Fitzroy in Straight, Bent and Barbara Vine, reading the Sisters in Crime Newsletter! His books are spot on re gender. His 2013 novel, Bitter Wash Road, is an exemplar in this regard,” she said.